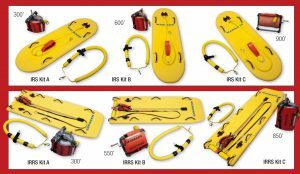 Thank you for your interest in Lifeguard Systems professional Rapid Deployment Search and Rescue/Recovery Programs. Each program is designed to meet the specific needs of the students in the course. 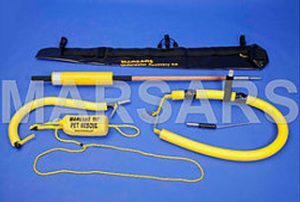 If students are Law Enforcement personnel, then search items are knives, shells and firearms, and scenarios are based on homicides by drowning. Body bag procedures will be taught and practiced. If Firefighters make up the majority of the students, then dressing in under three minutes, rapid deployment, and patient handling become more important. 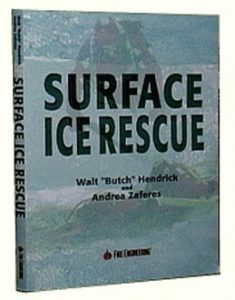 All programs were created by Walt “Butch” Hendrick and are based on the main mission that when the job is done, you need to go home. Rescuer safety is the number one priority. The following describes our Level One RDS&R/R program. Most of our diving programs follow similar duration and pricing schedules. We have three and a half, five and twelve day programs to meet the specific needs of your team, with specialties ranging from underwater vehicle extrication to blackwater ice rescue, field neurological programs, and fastwater rescue. RDS&R/R is the prerequisite for our other specialist diving programs. It offers Rapid Deployment Search & Rescue/Recovery Certification, as well as Blackwater I if enough dives in blackwater are conducted. If blackwater is not available, masks can be blacked out. * What is Rapid Deployment Search and Rescue? * What does it mean to be prepared, and the Nature of the Beast? * We can’t save them all – what are the factors? Following the lectures, there is constant hands-on practical training, using both specialized and easily available rescue equipment. The first skills covered are speed dressing, search techniques and site management. 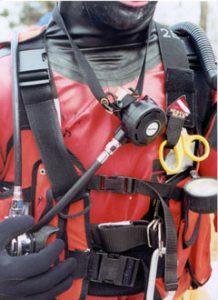 Divers will be able to dress in under 3 minutes. Training videos and drill outlines are available for maintaining skill levels after the program. * Blacked-out Mask Line Tending Search Game – find well hidden dimes, knives, etc. Skills are then incorporated into live-action, openwater scenarios which are timed and debriefed on the spot. Life-sized child and adult mannequins are intermittently used as search objects to create as much reality as possible during the scenarios. Small items such as carabiners and quarters are the primary blackwater search items. Four-wire tethered communications system is redundantly used for maximum learning and safety. Sites will change without notice, and confusion and surprise will be added by the staff to get the most from your team members. A pool is not required – we train teams where they will need to dive. Every student will dive, tend, manage, and do paperwork, with the result that each member of the team gets all the pieces. They can then take this knowledge and training to other personnel and future team members. * Each diver will complete a minimum of three successful search dives and two underwater contingency exercises, all of which must be logged. * Each diver and tender will serve as primary tender at least twice and as back-up tender/profiler at least twice, all of which must be logged. * As many students as possible will serve as officer in charge and safety officer. * As many students as possible will interview witnesses and document information on a master profile map. * If boats are necessary for operations, then students will train how to anchor the vessels with a hurricane anchoring system. * A written examination will be administered at the end of the course. Your team will be prepared with practiced emergency contingency plans and enough information to write a very safe and effective SOP/SOG by the program’s end. We would like to include your local EMS units and hospital personnel in our lecture periods to have them fully aware of the modern procedures for water-related accidents. This will also ensure that rescue is possible from the first alarm all the way through to the hospital emergency room. EMS can attend the entire program to learn how to tend divers, and for special lectures and drills on dive accident management; adult, infant and child patient handling; drowning and hypothermia management; and site organization. Most teams charge these EMS students $50 to $150 each. We recommend arranging for EMS credit ahead of time. If arrangements are made, a Lifeguard Systems Trainer can provide a three to four hour seminar on dive accident, drowning and submersion hypothermia patient handling in the Emergency Department of your local hospital sometime during the program. The first session is usually 4 classroom hours. For volunteer departments this is usually a Thursday evening. The course continues on the following three days, typically from 0830 to 1830. For volunteer departments this would be Friday through Sunday. Class size is limited to 20 divers and 10 surface personnel (tenders). 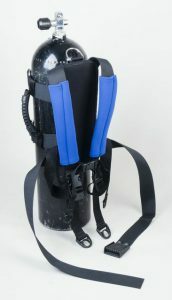 For any amount of divers less than 20 the same amount of tenders can replace them. All divers must show certification cards and some type of dive log book upon our arrival. The number of students for the first evening lecture is unlimited. If only some of the students are from your department, then the outsiders pay for your course. Most hosting departments charge surface personnel $195 and divers $395. If, for example there are twelve outside divers and two outside surface personnel, the host collects $5130. That means the host makes $880 profit and gets eight of their divers and eight of their surface personnel trained for free. The first evening classroom session can have an unlimited number of students. If prearranged 60 days ahead of time, Lifeguard Systems can apply for EMS or other CEU credit for this part of the course, which covers patient handling and Awareness Level Information. Also, for $1 per student, Lifeguard Systems can provide Awareness Level Dive Operation Wall Certificates for each student attending the 4- hour session. As the host, you can then charge these students, who will only be attending this 4- hour classroom session, a $15-$20 fee ,which you keep. This can be done for every RDS&R/R specialist training program. Teams can raise hundreds of dollars this way, in addition to getting many members trained to the Awareness Level. Full Course Payment is due on or before the last day of the program. A $500 deposit is required 60 days prior to course. All programs can be customized to meet the exact needs of the hosting department.